The Pentagon is preparing to officially certify the repeal of the “Don’t Ask, Don’t Tell” military policy. The policy has kept openly gay and lesbian men and women from serving in the United States military. After the signing, there will be a sixty-day process before the policy is permanently removed. 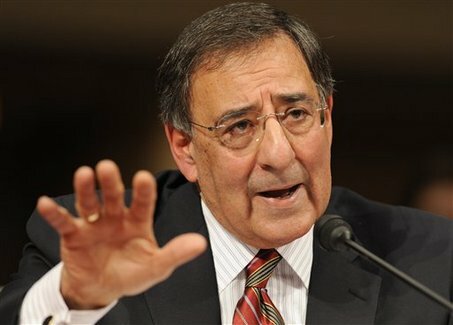 The gay and lesbian community is happy to see Panetta lead the charge to finally repeal “Don’t Ask, Don’t Tell” just a matter of days into his new role as the Defense Secretary. Servicemembers United issued a statement praised Panetta’s quick work and progress. After numerous lawsuits over the discriminatory policy, it seems that equality is finally going to be seen in the United States military system. Now one of the last forms of legal discrimination on a national level is finally going to disappear once and for all. And we wait for the federal legalization of gay and lesbian marriage. Are you kidding me with that headline?! Gays and Lesbians have BEEN in the military since the frickin’ American Revolution. Now they’re just not force to lie by the nation their sworn to defend! • 14,317 people were discharged under DADT (November 1993 – July 2011). • 78,000 bisexuals, lesbians, and gays are serving in the U.S. military today. • Millions served successfully through the 20th and 21st centuries. • 41 other nations also allow open military service, regardless of sexual orientation.